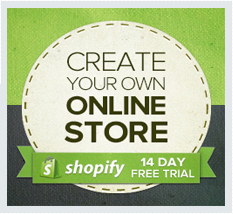 Shopify Build a Business Contest is back! Over $500k in Prizes and New Countries Added! 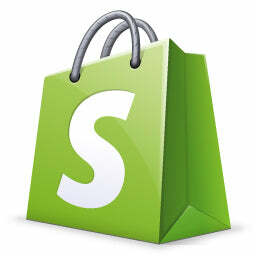 Hey everyone, just letting you know that Shopify has brought back its build a business competition, so there is no better time to get off your but and start your online store. This time there is over $500k in Prizes and access to more countries. The contest runs from May 1st to December 31st, 2011, but you can sign up any time as long as you’re selling for at least 2 months. The contest is open to residents of the U.S.A. (excluding residents of Arizona, Maryland, Vermont, and Puerto Rico), The U.K. (excluding N. Ireland), Australia, New Zealand and Canada but everyone can participate in the educational portion. You don’t need any experience starting or running an online store; we make it easier than a paint-by-numbers. Throughout the contest, we’ll have a special Build-A-Business website set up that will house a wealth of accumulating knowledge to help you along the way. VIP trip for two to New York. Five days, including round-trip airfare and hotel. While in New York, have lunch with Seth Godin. Best part? He’s cooking it himself! One-hour power session with Gary Vaynerchuk. Receive advice on how to further grow your business. VIP trip to California. Have dinner with Tim Ferriss, visit the Googleplex and receive a personal AdWords consultation. Anything you want from the Apple StoreVIP trip for two to New York. Five days, including round-trip airfare and hotel. So, what are you waiting for? Head over to Shopify and sign up today!